​Ann Rosén presents a new module of the Great Barrier Orchestra, GRAPHITE BARRIER, through a performance series during 8 days. 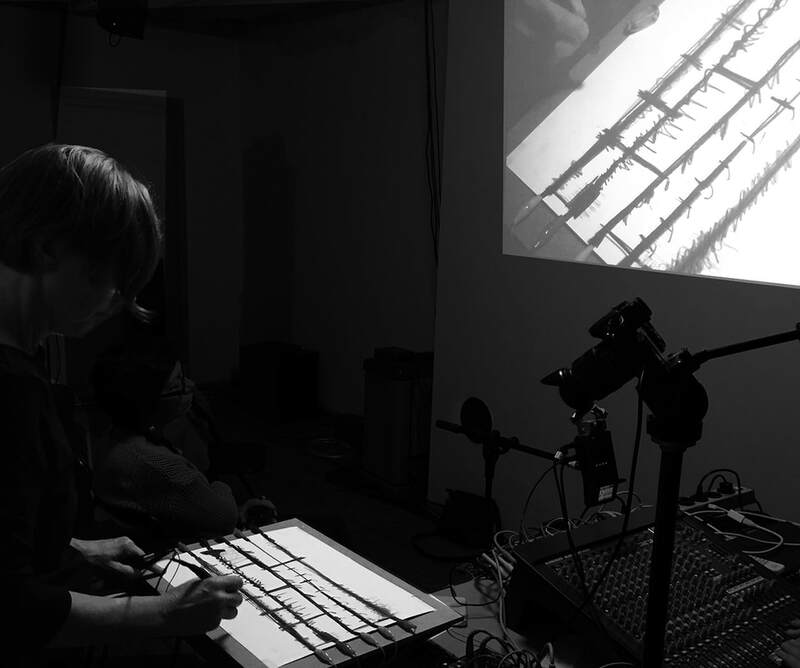 The GRAPHITE BARRIER instrument consists of graphite, paper, computer and her own software with which she can create and control sounds by drawing. Through playing the GRAPHITE BARRIER instrument one can play, conduct and generate graphic scores all at the same time. During her residency at HIAP in April and May 2017 Ann Rosén started to develop the GRAPHITE BARRIER instrument and created the video GÅRDEN-Suomenlinna that will be the first performance in the series. Each following day Ann Rosén will perform and create a new score, there will be solo and duo performances and on the final day an ensemble performance. 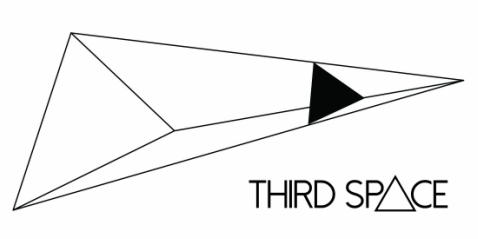 The scores generated at the performances will be exhibited as they are created and can be viewed between the performances through the Third Space window. 10.5 Video-screening and live recitation of GÅRDEN-Suomenlinna by Ann Rosén with text by Helena Boberg. 17.5 GRAPHITE BARRIER performance, Ann Rosén with the BARRIER ENSEMBLE Petri Kuljuntausta guitar and objects, Mikko Raasakka clarinet, Suvi Linnovaara saxophone, Sergio Andrés Castrillón A cello and Timo Tuhkanen guitar. ​Project kindly supported by Nordic Culture Point. ​Ann Rosén's sound art involves expanding the palette of sounds with timbres using sensors to register changing tensions in cloth instruments to control computer generated sounds and processes. Glitches, sparks and clicks, white noise and electronic artefacts characterise Ann Rosén’s sound world, as do spatial soundscapes created using real-time synthesis. Many times there are visual elements of design, equipment and materials innovatively integrated into her performances. In recent years the composing – usually in combination with self-made electronic musical instruments – has taken an increasingly large place in Ann’s oeuvre. In the work RESILIENCE and through the BARRIER ORCHESTRA, Ann’s long artistic activity is mirrored in modular pieces for the custom-built instruments KNEECUFF and INTEOCH, voice and mixed instrumentation. THE BARRIER ORCHESTRA and the piece RESILIENCE are part of Ann Rosén’s The Great Barrier Orchestra project, which aims to challenge our inner and outer barriers, deepen collaboration with the musicians, composing and developing new instruments, playing techniques, music and art.